Human’s mind is somewhat of a rocket science. 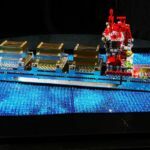 The complexity far exceeds anything mankind have known, but what if you could narrow it down to the specific, like an engineer’s mind? How would it look like? Well, instead of showing a brain and pointing out the various lobes and neurons, which would only makes sense to neurologists, LEGO enthusiast Kristal simplified it with LEGO bricks. The kinetic sculpture, entitled “The Engineer”, is not in anyway a medically accurate model of a human’s brain, but rather, it is Kristal’s take of an engineer’s mind. 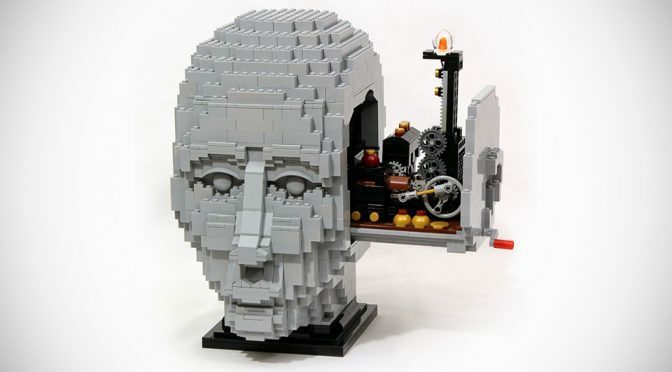 Made up of mostly gray LEGO bricks, the human head sculpture looks seemingly nondescript, but beneath it hides the engineer’s mind which is revealed by inserting a LEGO-based crank shaft to the side of the head and turning it. The crank action sets the kinetic sculpture’s series of gears and racks in motion, extending a platform out from the side of the head. The engineer’s mind, in Kristal’s interpretation, is an engine room of sort, made up of gears and cogs that runs a three-piston engine with a large, steampunk-ish horizontal pistol, along with an upward extending light tower. 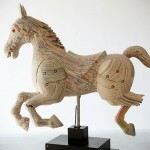 While the model may look simple in terms of functionality, the inner working rather intriguing. 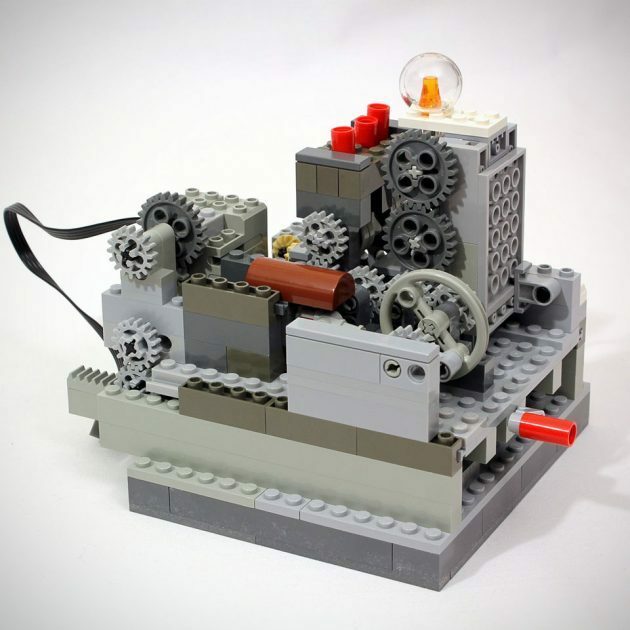 The beauty of this LEGO kinetic sculpture is the simplicity of the mechanism. One crank is all it takes to run everything – from the engine and the large piston to the extending tower to lighting up the bulb. Yes. Even lighting up the bulb, which is power by an old LEGO motor which serves as a generator, powered by the crank. “The Engineer” is the second in series of kinetic sculpture based around human head. 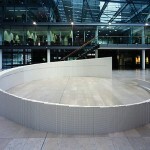 Scroll down to catch of video walkthrough of the sculpture by JK Bricks to learn more about its inner working and also, see it in action.